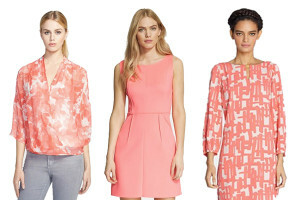 Many find the color coral to be a better fit for summer wardrobes rather than spring, but being a tone that comes in so many different shades, coral can be just as fashionable for spring. Whether you prefer an deeper red tone to make a statement or the feeling of warmth from an orange-pink hue, embrace coral in your work wardrobe with a fabulous mix of prints and textures. 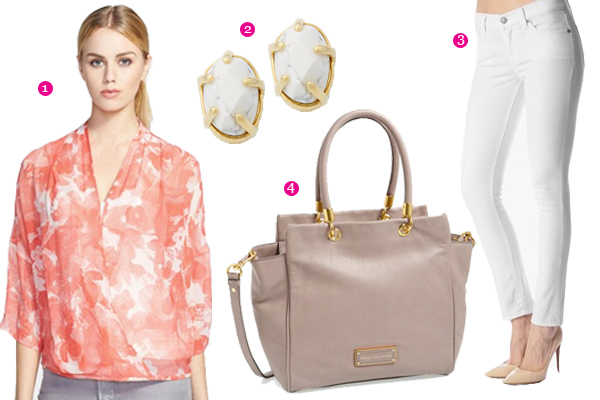 If your office has a more casual dress code, take advantage of rocking a great pair of white skinny jeans with a floral print coral wrap top. Focus on keeping your accessories and accents soft and neutral by carrying a natural toned slate Marc by Marc Jacobs purse and wearing marble stone earrings with gold accents. Pull off a beautiful coral look for spring by wearing this printed long-sleeve shift dress to the office. While it is tempting to color block with a pattern like this, keep your outfit sophisticated with light beige tones and chic accessories. Take advantage of the warm weather by wearing an open-toed pair of beige heels and matching bag complete with statement drop earrings to complete the look. Pull together a simplistic outfit by wearing this textured coral skirt with a navy silk blouse for work. Dress up your look by wearing a gold double necklace and carrying a sophisticated brown leather bag to add more texture and natural tones to the outfit. Enjoy the light and bright spoils of spring by wearing an elegant lightly toned coral seemed shift dress with a light blue linen blazer. 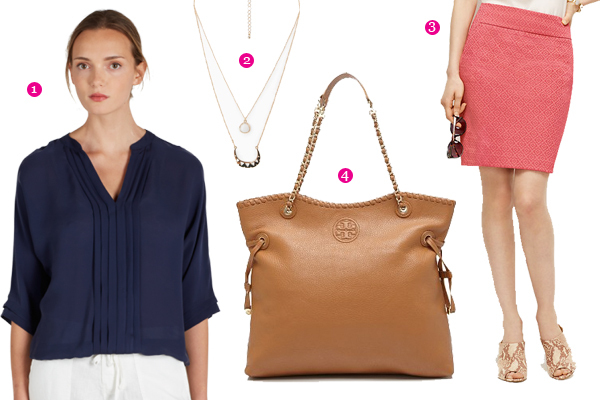 Keep your bag and shoes neutral with a beige Tory Burch tote and a chic pair of open toed beige booties. Amp up your accessories by wearing these statement earrings that bring together your color blocking look.